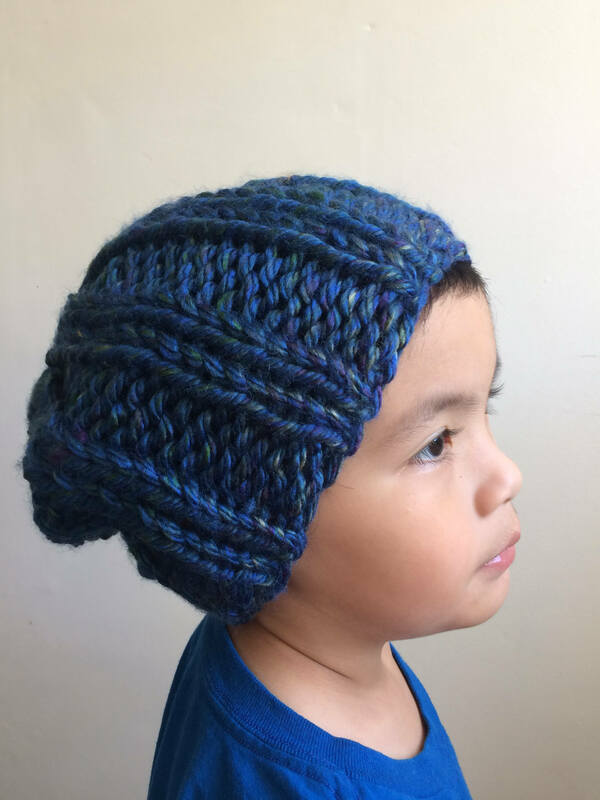 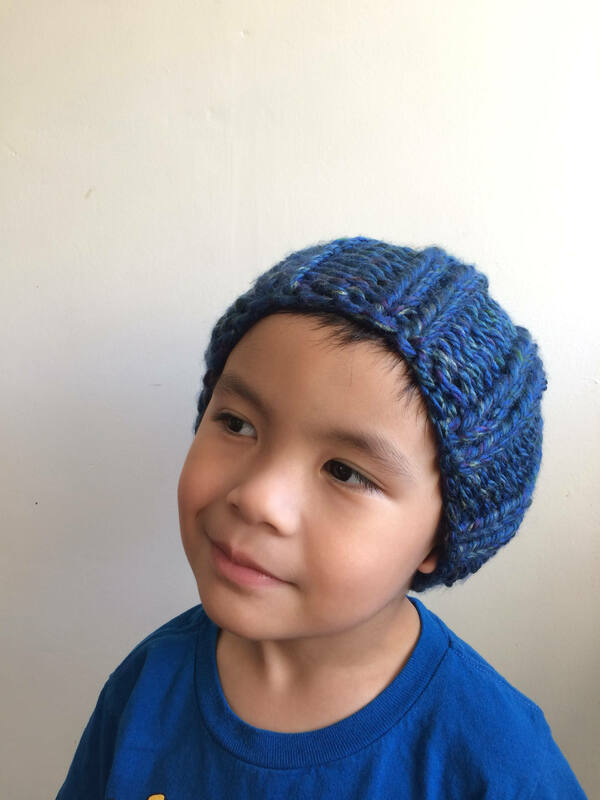 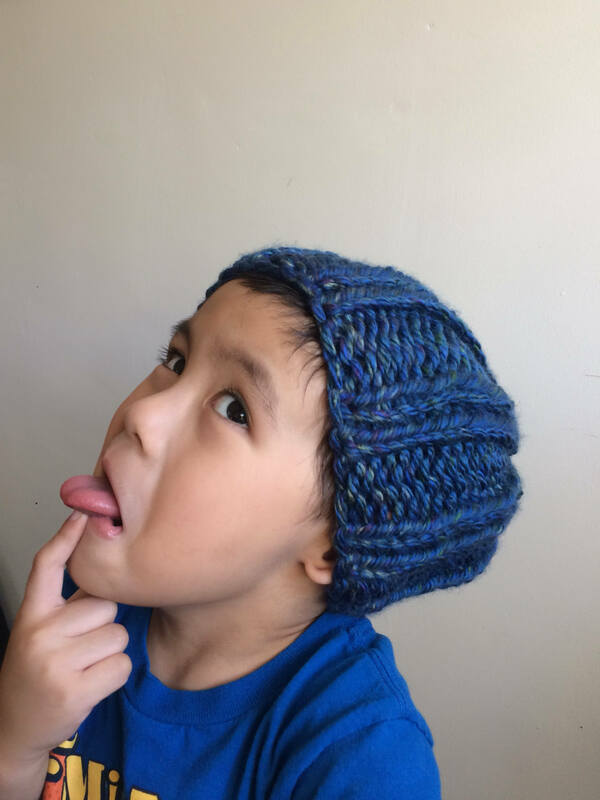 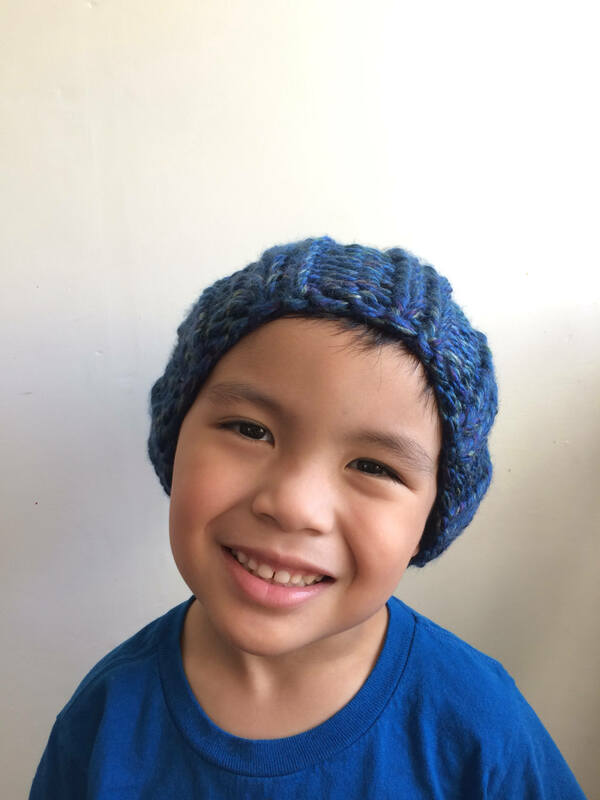 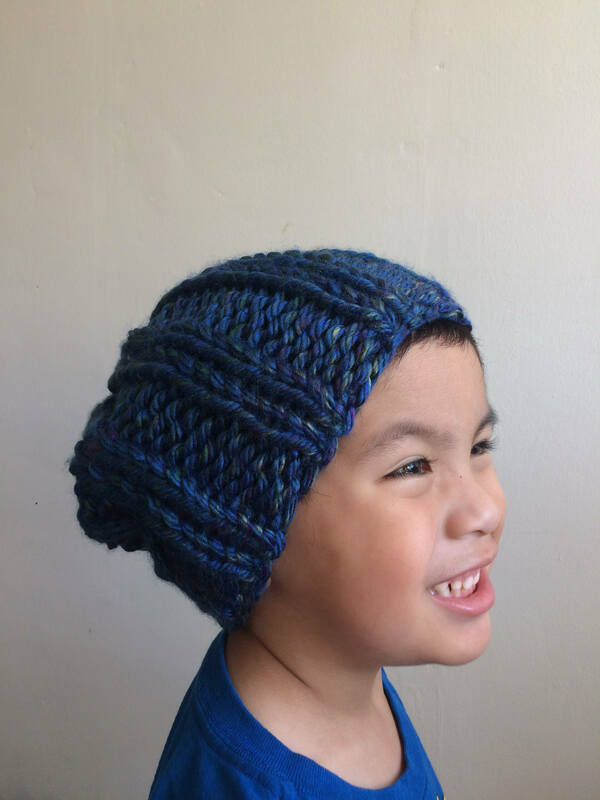 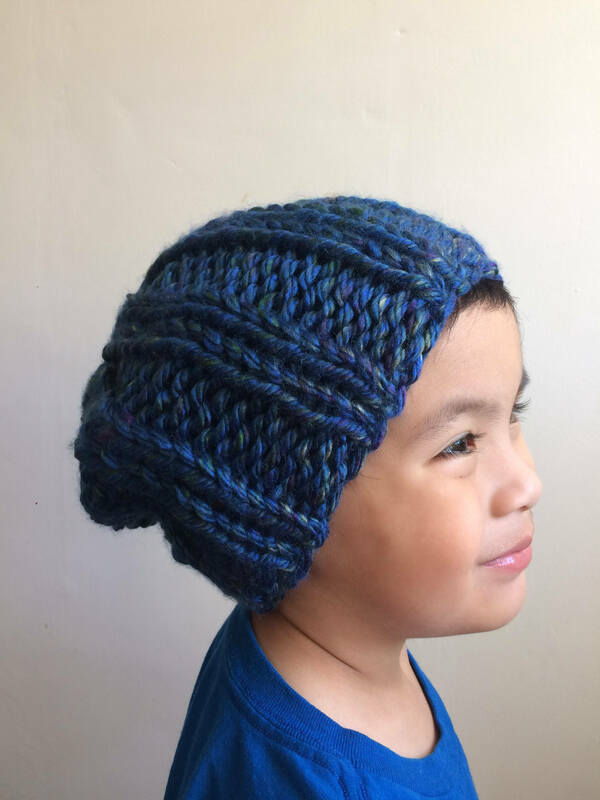 This is the Rocco Beanie, named after my first son. 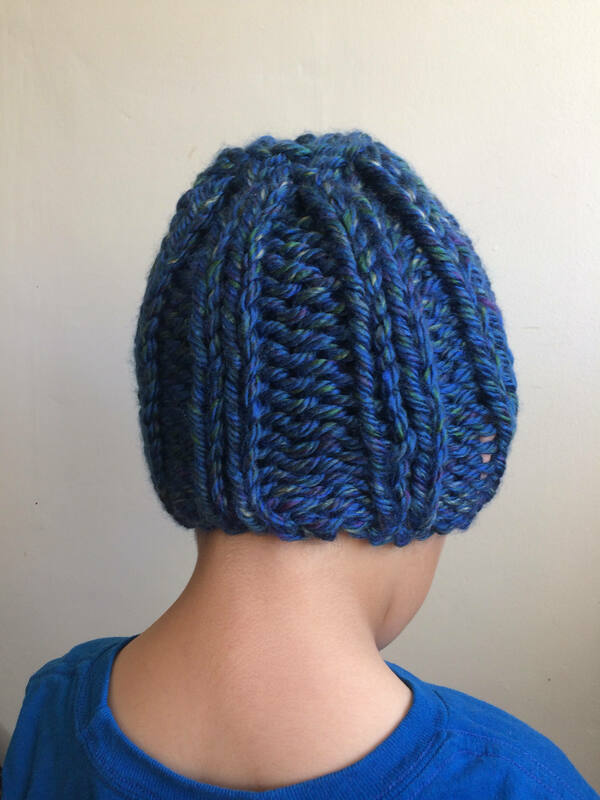 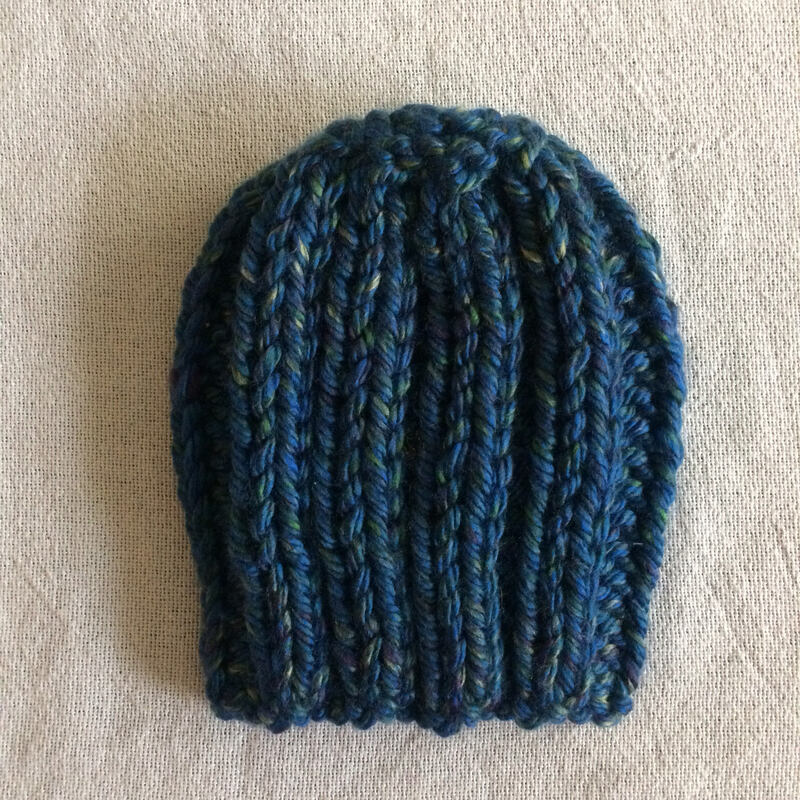 It is knit out of thick, soft, acrylic yarn called Lake Tahoe. 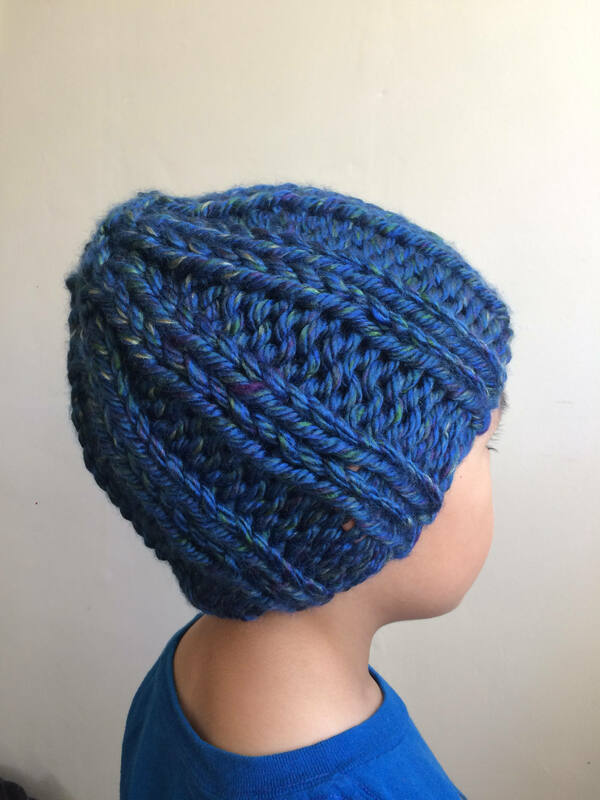 It will fit most kid sized heads between 3-10 years old.